Presenting 5 new saree wearing styles for parties - look traditional yet stylish. With inspiration and ideas from Bollywood actresses and ramp models. Tired of draping your saree the same old way. 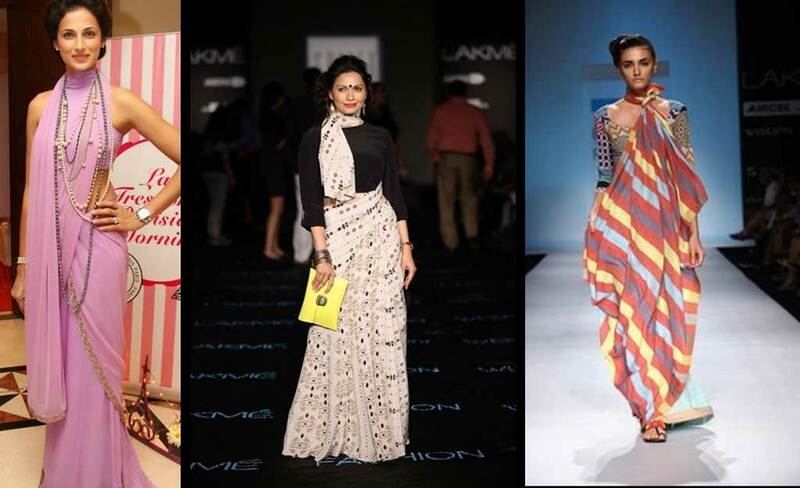 Here are 5 new saree wearing styles for parties – with inspirations from Bollywood actresses and models as seen on the ramps. Have a party to attend and just sarees in your wardrobe? Let’s delight you: presenting to you non-boring, 5 new ways to tie the spectacular Indian drape, with ideas from the runway. Six Yards of elegance, the traditional outfit of India, envy of the Western fashion, so on and so forth, saree has been labelled a fashion movement by designers all over. 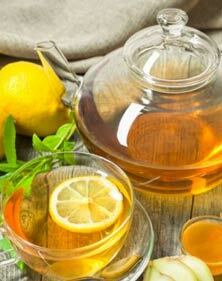 Yet, we have often found comfort in tying it the easy, traditional way – well, not anymore. Draping sarees has evolved over the decades and today you can see it being worn in ways one couldn’t even imagine. Sonam Kapoor, our very own fashionista was one of the forbearers to this style of saree draping, it didn’t take long for people to admire how a simple saree could look so chic. Famous designer Tarun Tahiliani used this many a times on the ramp for his designs. For this, all you need is your regular saree, preferably a chiffon or georgette one in a solid colour with a sparkling border and a pair of tights or skinny pants to go with them. Use a non-traditional top like a crop top or a high collared top instead of the regular blouse and use high heels to complete the look. Pick a saree like this. This style is perfect for occasions that seek a dash of glam in a traditional setting. ( For example: when you are hosting a party at home during Ganesha or Diwali or another such Indian festival). If you want to flaunt your curves, this is the right saree drape for you. Fashionistas like Madhuri Dixit have often described this as their favourite style. Use a georgette saree for the purpose. The material needs to be soft and sheer to enhance the style and your body form. 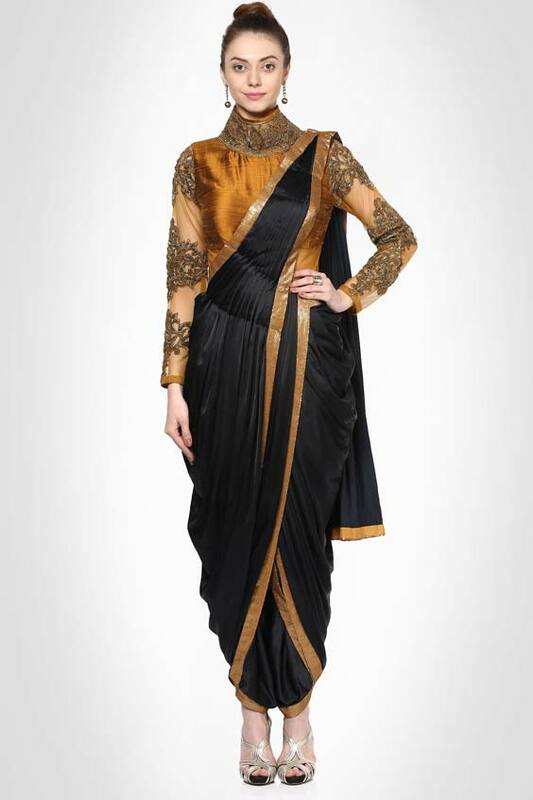 This style has no pleats in the front, making the saree look like a fabulous skirt, making your silhouette look slimmer. This is perfect for wedding parties, mehndi nights and other such occasions. This is also known as the retro style, once made famous in Bollywood by the beautiful Mumtaz. In this drape style, there are only few pleats and the remaining saree is wrapped around the torso like a coil, hence the name. Each time the saree is wrapped, it’s wrapped a few inches above the last wrap, giving it the look that makes it famous. It looks like it has no ease of movement but we saw Mumtaz dancing it in it like a diva, didn’t we? It’s perfect for parties. Easy, stylish and promising, neck wrap style is fit for you, if in hurry with a saree. Just wrap the saree around your neck like a scarf, wear a blouse with contemporary cuts to enhance the look. This style is quirky and can even be worn for something as simple as a Sunday brunch. You can even use it as a winning style this winter, pair the saree with a full sleeved winter jacket instead of a blouse and you are good to set the runway on fire. All these saree wearing styles for parties are easy to adopt to, so try it out this winter and raise the temperature. Always remember that the blouse is sometimes more important than the saree, so stock your wardrobe with comfortable halter neck and some collared crop tops which will double up as blouses and tops whenever you need. Last but not the least, always pair your sarees with high heels to give yourself the perfect diva look. So go ahead, drape that saree in style, and stay beautiful! !